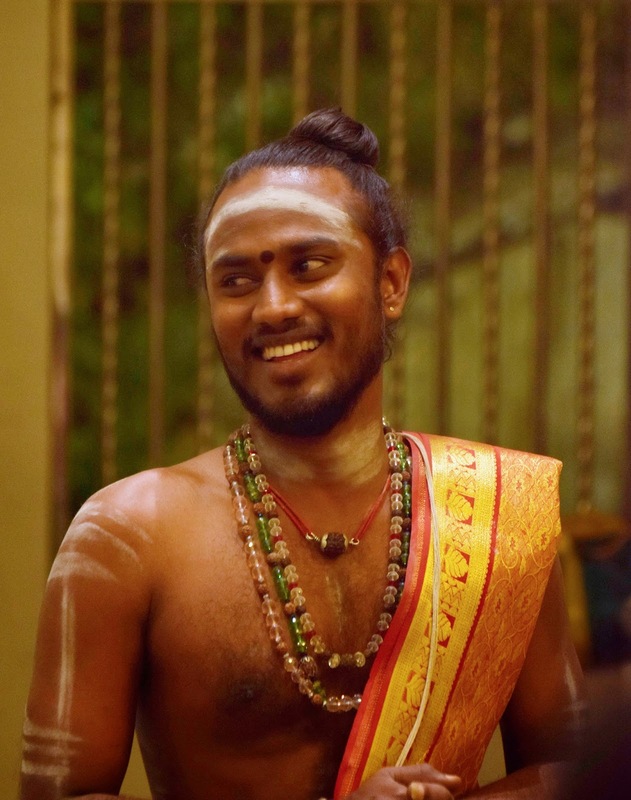 Thaipusam is the annual feast held in honour of the Hindu deity Murugan or Subramaniam, who particularly has a large and popular following by the Indians of South India. Traditionally, this festival celebrates the empowerment of good against evil, with Lord Murugan being given the magical and powerful spear or javelin called Vel by his mother, Pavarti to vanquish Soorapadman, the evil Asura/demon that was terrorising the heavens. 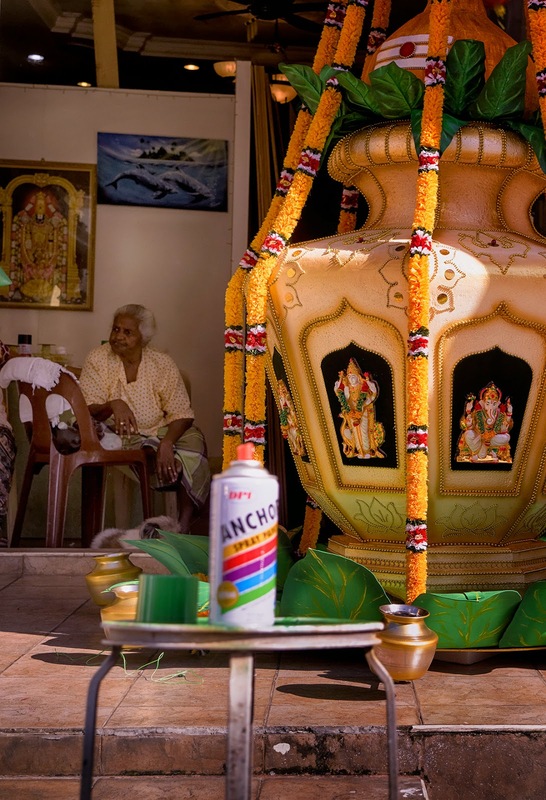 During this festival, devotees that had previously made a vow carry burden in the form of kavadis or milk pots as a sign of thanks to Lord Murugan for his blessings and protection. This 'burden' is sometimes taken to a rather graphic level, with self-mortification that involves skin, cheek and tongue piercings. 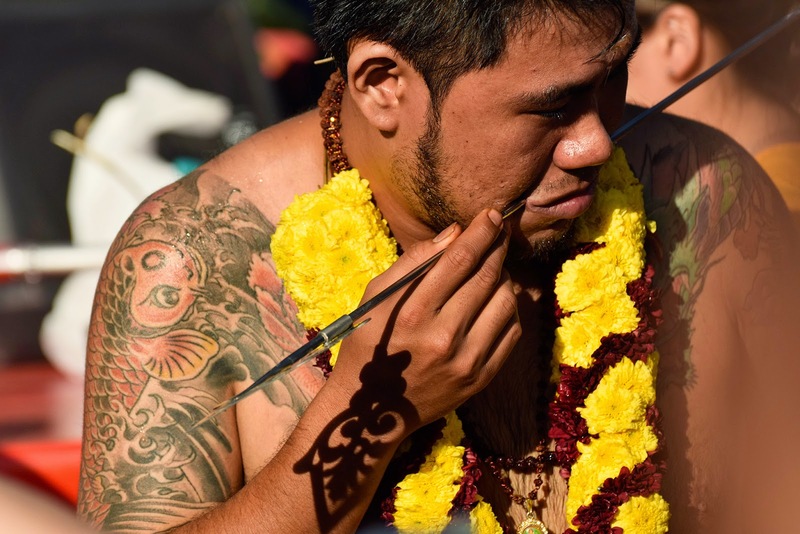 A kavadi being given last minute touch-ups two days before the Thaipusam festival in Penang. 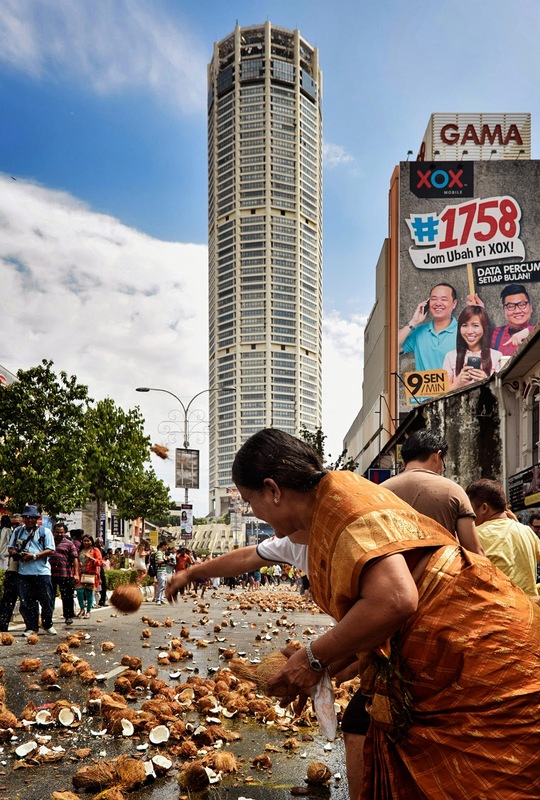 In Malaysia, the local Hindus who are predominantly from Southern India celebrate this festival in no lesser scale than those in India. 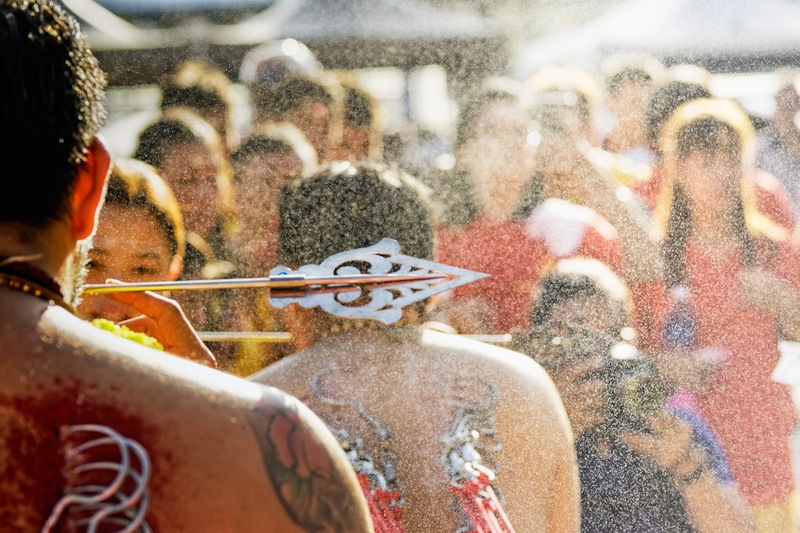 Batu Caves in Selangor and the Waterfall Temple in Penang becomes two popular focal point for this festival. 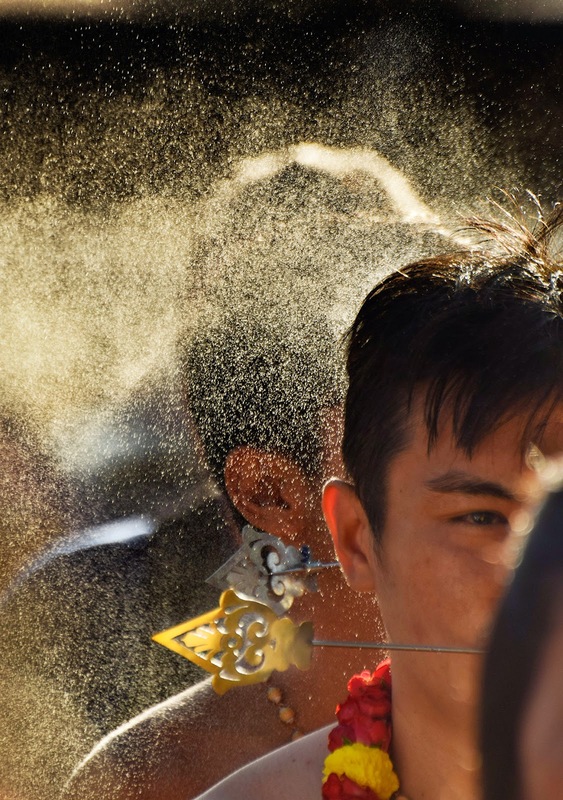 There were a certain number of Chinese devotees who had piercings and hooks. This year, I followed the festival in Penang, and really enjoyed the atmosphere there. 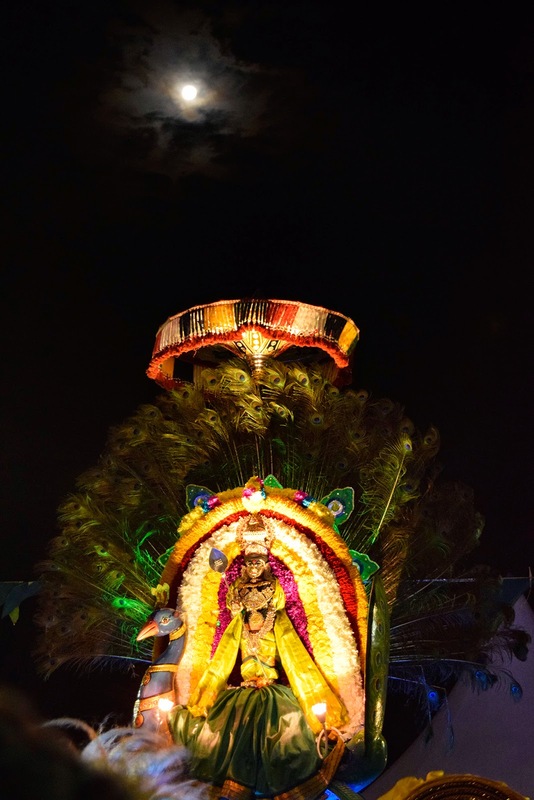 Not only local Indians join in the celebration, but Chinese who believe in the divine strength of Lord Murugan do so as well, thus giving rise to a very unique representation of the festival. Viewers beware - some images might be disturbing to you. 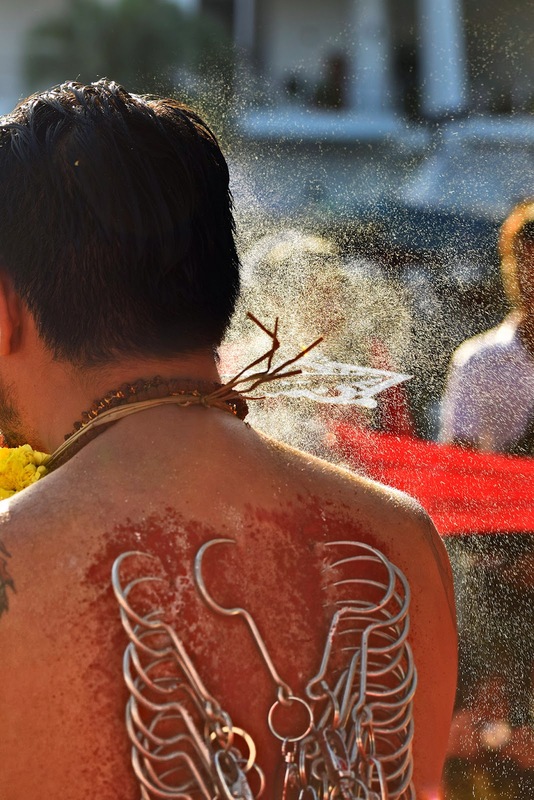 The devotee turns the piercing to keep it from becoming 'stuck' to the pierced flesh. Hooks to pull a kavadi. There were three of them pulling a chariot-like kavadi. 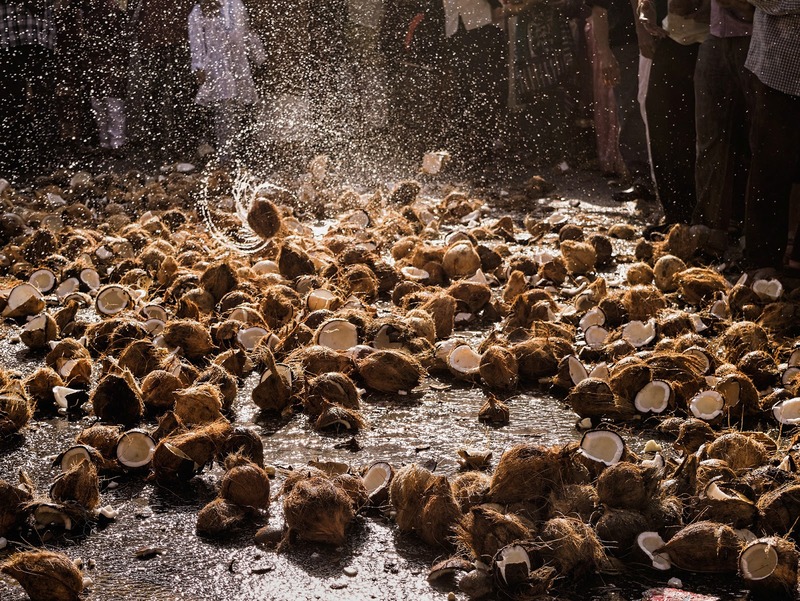 Coconuts spinning as they were being smashed by devotees. The entire section turns into a wet, coconut smashing frenzy. She is a shot put champion - Coconut smashing at Jalan Dato Keramat. This stretch of road is where a large number of coconuts were smashed. Removing the 'burden' at the Hilltop Temple (Arulmigu Balathandayuthapani Temple). 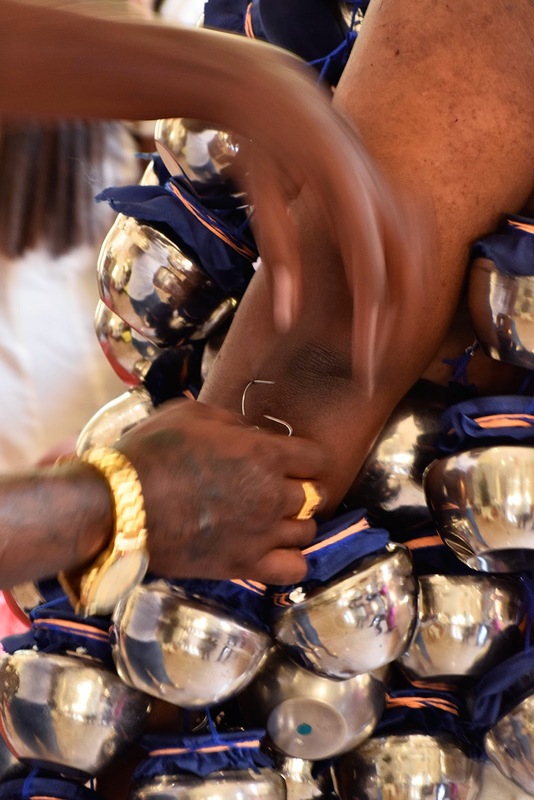 The piercing being removed by another, who seemed to be an expert in doing it quickly and painlessly. One of the priest at the temple who were involved in the ceremony of carrying Lord Murugan around the Arulmigu Balathandayuthapani Temple. Oh wow I have never seen up close and personnel. Didn't realised there were that many hooks!